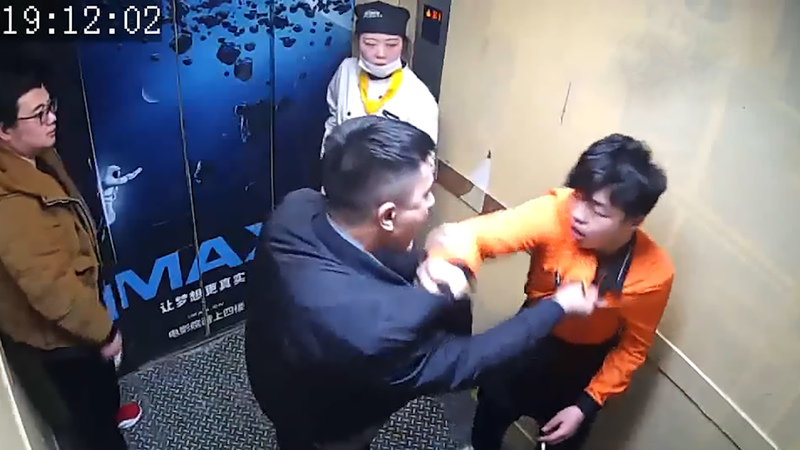 A toddler’s furious father has been filmed punching a smoker in the face inside a lift after he tried in vain to get the man to put out his cigarette. 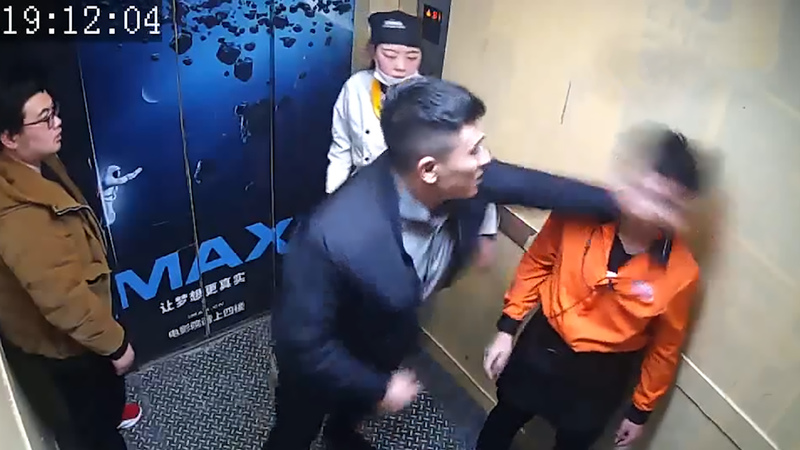 Footage of the fistfight was captured inside the shopping centre lift in Shengzhou City in China’s eastern Zhejiang Province. 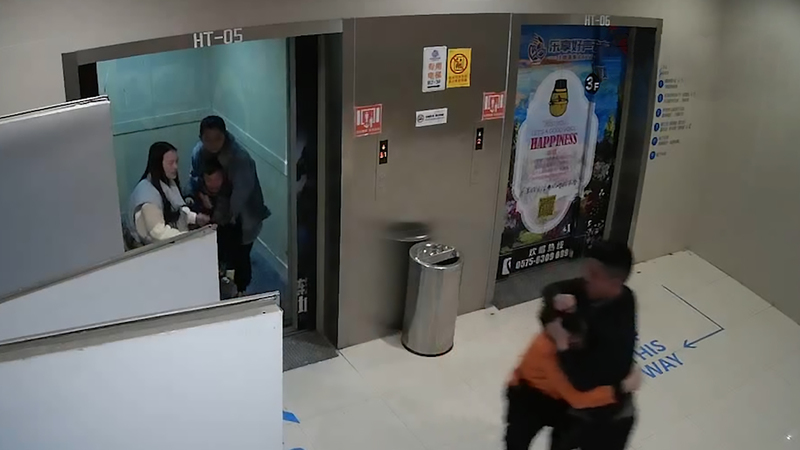 The video shows the dad surnamed Lu holding his toddler son in his arms while quarrelling with the smoker surname Chen, who appears to be younger and physically smaller too. 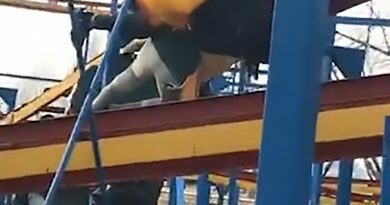 In the clip, the dad shoves the young smoker and grabs him by his clothing before landing a hard left hook to his face. This is after the tot’s mum had quickly carried him away from his increasing angry dad. 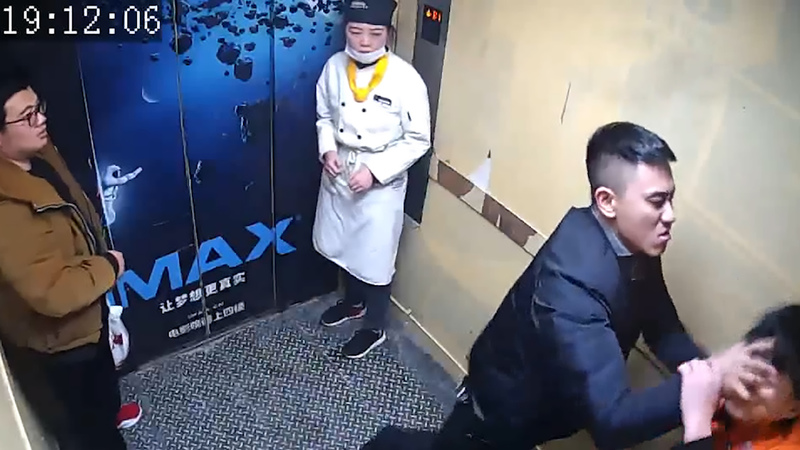 Chen, who is wearing an apron and appears to be employed inside the shopping centre, tries to retaliate but is overpowered by the father, who continues the battering as the lift doors open. The pair can be seen tussling on the floor as the video ends, with both later summoned by police for the punch-up. 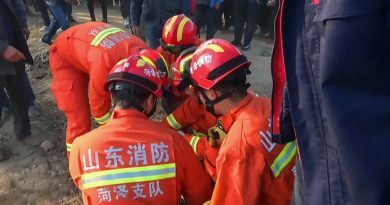 Zhang Cheng, Sanjiang Police Station chief, said: “Chen was badly hurt and called the police. 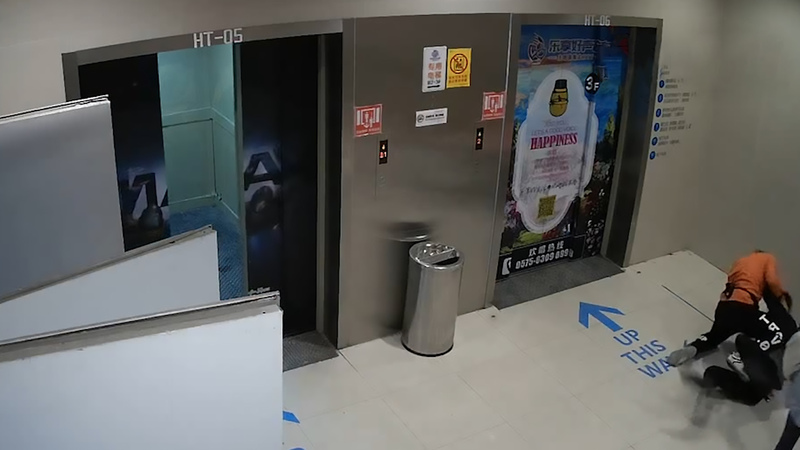 “During question, Chen recognised his wrongdoing and apologised to Lu for smoking inside the lift. 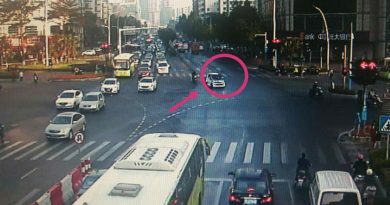 Lu compensated the young smoker 1,500 RMB (168 GBP) and no further charges have been pressed.